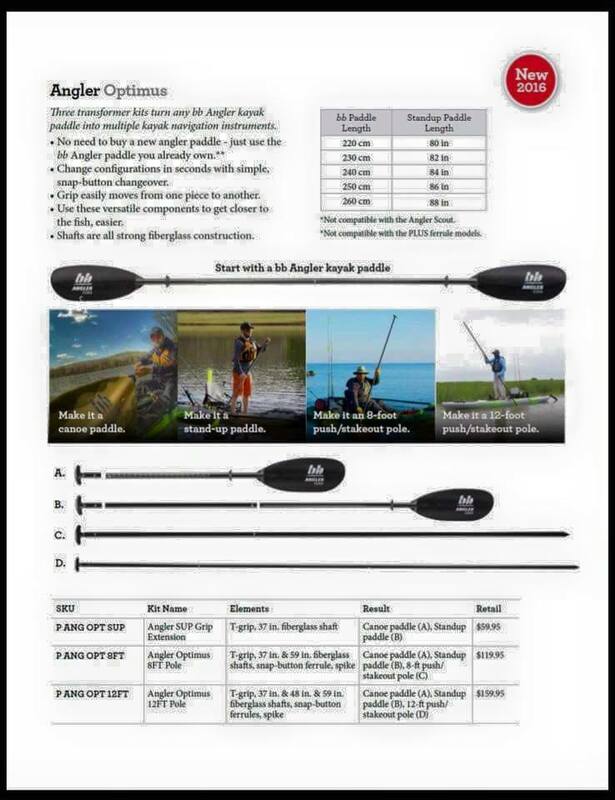 It is a great time to be a kayak angler. With ICAST occurring last week in Orlando, FL and Outdoor Retailer slated for the first week of August in Salt Lake City, many companies are pumping out great new products. As usual, ICAST introduced us to some really innovative new products...and some probable duds. But, for better or worse, the kayak fishing industry is quickly pushing toward the forefront of the outdoor industry. Here are my 5 favorites (and a couple honorable mentions) from ICAST 2015. Wilderness Systems dropped their teaser video about a week early, but man do they have the kayak fishing world buzzing. Their new X-pod motor drive was released at ICAST, as was a new and improved Tarpon 130X and ultralite versions of multiple boats in RealTree camo. They have hinted at an X-pod pedal system coming at Outdoor Retailer (OR), as well as the possibility of new/modified models in the near future. 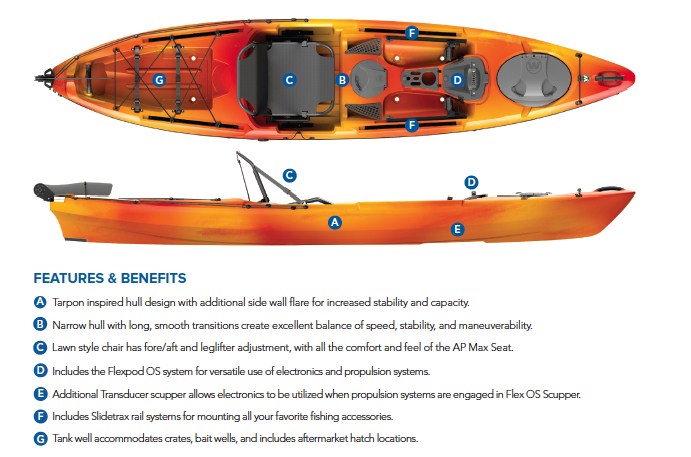 Confluence also launched a new Perception Pescador Pro, which is a sharp looking boat in its own right. I suspect they will take the interchangeable X-pod concept and absolutely run with it, as it fits/will fit the ATAK, Thresher, Tarpon X, and more models down the road. 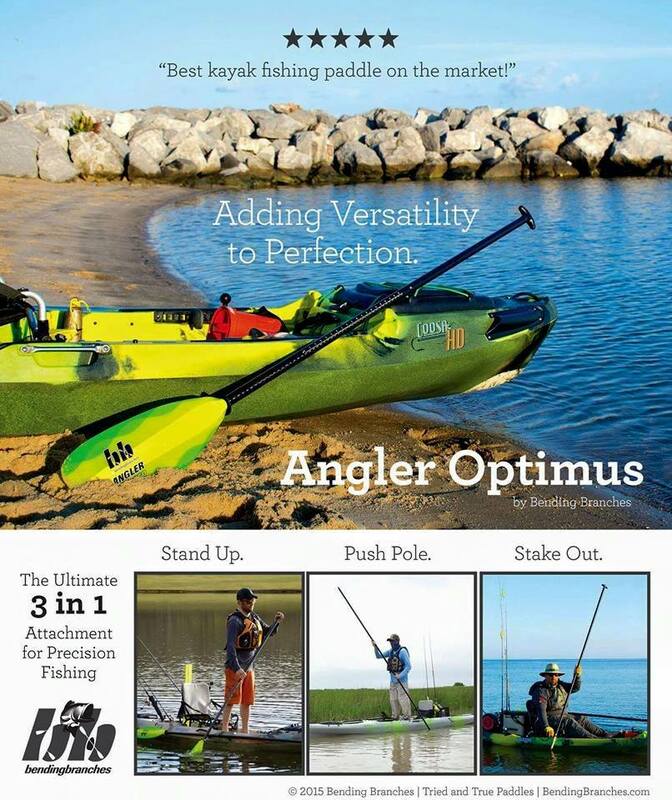 Below is their teaser video and a photo of the new Tarpon 130X, which has yet to be formally released. The time has come for the power of Wilderness Systems to be revealed. This thing is the Swiss army knife of paddles, because it can do it all. 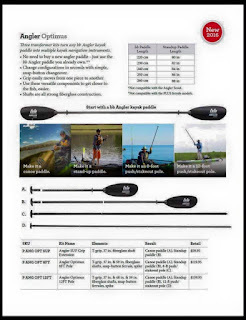 It will combine with your current Bending Branches angler series paddle (excluding Plus ferrule options) to create a canoe paddle, stand up (paddleboard) paddle, 8 ft pushpole and 12 ft pushpole. The best thing is that it is as easy as the push of a button. 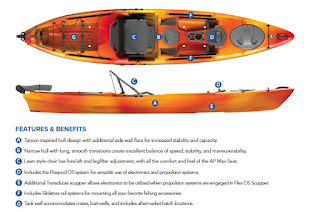 All parts are made from super strong, lightweight fiberglass. Check it out over at Bending Branches for full info! My affinity for Abu Garcia has been mentioned many times on this blog. For years, I have been using their Orra S and SX spinning reels and love them. They have been tanks, and for the money, they are hard to beat. But the new Revo spinning line looks amazing and when my Orras die, I may upgrade a bit. For some reason, I have always been a little reluctant to spring for a Revo S, because I think the upgrades you get when you splurge on an SX, STX, or better are just too hard to ignore. However, I fully expect to have an SX or two in my arsenal within a few years. Check out their intros here: http://www.abugarcia.com/abugarcia-reels-spinning-reels/. The Jackall Pompadour has been around for a year or so now and has been the cause of numerous topwater blow-ups since it launched. It is a mutation of the old school Arbogast Jitterbug. I just picked up a couple and love them. They don't get a ton of bites, but the bites you get are big and ferocious. Now, they come in a smaller version, which should be just as productive. Check them out! Glide baits have become super popular over the past few years. That is because guys out west and in the swimbait world have been catching giants on them. Savage Gear just released their new glide baits, which come in a couple different sizes and numerous colors. I will admit that a lot of the custom and handmade swimbaits look better in the water, but this one looks pretty good, and costs a fraction of the price. 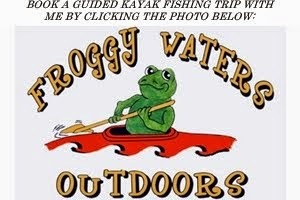 If you are looking for something new that catches big fish, this may be a good option for you. I saw Jig Skinz first pop up on my Facebook feed and was impressed. Others clearly were too, as it continued to show up on my feed for a few days. Although it isn't widely applicable, it is a really cool concept. See their video, below. The Big Bite Baits Fighting Frog has been my go-to flipping bait for the past year or two. The Swimming Mama looks very similar, but with a little more action and slightly different profile. I would like to see one in the water, but dang in looks appealing. This is another bait that I will be fishing on an unpegged Texas rig. I expect to have a few bags in my tackle box very soon! It has been a busy few weeks, so I was giddy when the clock hit 5 PM on July 2nd. I was staring at a three day weekend, which included both Independence Day and my 32nd birthday. Nothing could stop me from hitting the water. I decided to hit a lake that I hadn't fished in a while. But I knew the lake can get crowded, and even moreso on a holiday weekend. So, I decided to get up at 4 AM, which would put me on the water at first light. Just before bed, Mary May asked, "what does the weather look like"? "Clear, I think", I responded. So I opened my AccuWeather app. Sure enough, it was supposed to be clear, but also a bit chilly - like 45 degrees chilly. Isn't this July? Suddenly I was beginning to re-think my plans, but I refused to let some cold weather stop me. I slept poorly, but was somehow still startled awake by my alarm. I stumbled out the door and was surprised to see how bright it already was. The near full moon and clear skies were providing a ton of light. I was hoping that was a piece of the puzzle I wouldn't need to worry about. As I cruised west, I contemplated whether or not I should tweak my initial plan. I was all set for fishing topwaters - with 3 surface baits and a "throwback" bait tied on. I knew deep down that I should have probably went with Plan B, but I was determined to force feed the fish on top. So, that is what I, stubbornly, did. I launched the ATAK around 5 AM and began throwing a mix of a Deps frog and River2Sea Whopper Plopper. About 3 casts into the day, a 14" bass erupted on the Whopper Plopper. "I guess the temps aren't going to affect the bite", I thought to myself. I then went 40 minutes without a nibble. I was concetrating on rock and dense vegetation, both of which retain heat, but nothing was producing - at least not on top. As the sun rose over the trees, I paddled over to the sunny side of the lake. That moved proved to make all the difference. The exact same types of rocks and heavy weed patches seemed to be full of active fish, and that warm sun was the key. I never did get a bite on the frog, but I landed a couple more on the Whopper Plopper before the Jerk Shad bite took over. My growing fondness for the Berkley Saltwater Jerk Shad has been well documented of late. This day was no different. I had to slow it down a bit more, but bass and chain pickerel were crushing it as I killed it on weed edges. The bite between about 6:45-8:30 AM was red hot. Then the weatherman flipped his switch and the bite died. The sun, which had fueled my morning bite, was now the key to shutting it down. The bluebird skies and lack of wind forced me to slow down - way down. I began flipping weed mats with a lizard and a tossing a finess worm around the edges. Still, I only managed a couple pickerel and a short bass. I found myself wishing for wind - any wind. After about 45 minutes, my wish was finally granted. Within 15 minutes, the bite was on again. I caught fish flipping a lizard to wood and boulders, fishing the Jerk Shad on weed edges, and ripping a Premier League Lures spinnerbait in a perch color through sunken vegetation. Although I had only planned to fish until about 10 AM, the bite just kept getting better. By 1 PM, my best three largemouth combined to measure 58" and I had caught multiple chain pickerel at 26". I had landed about 50 fish - 21 bass and 29 chain pickerels. Unfortunatley, I knew I had to get home, so I started making my way back to the truck. I made a few casts here and there, including one thrown along a point near some isolated vegetation. As I brought my Jerk Shad across the patch of grass, the water erupted. A giant chain pickerel engulfed the bait. It was ripping drag and pulling me into the wind. After a minute or two, I got the fish boatside and realized just how big it was. I also noticed that the bait was entirely in its mouth. I began to freak out. I tried to contort the fish to try and land him without the line getting cut. But it was all for naught. The angle of the line, nearly straight down, was too severe, and the beasts teeth cut it like butter. I was distraught. I would estimate the fish around 30" and probably 7 lbs, easily besting my best from last year. According to the Massachusetts Wildlife website, it would have been the biggest chain pickerel caught in the past few years. Next time, I'm bringing a net! It was a bittersweet drive home, but I was proud of my day. It was a good lesson in summer conditions, and how and when to adjust. If it gets too cold, hot, or sunny - slow down. If cloudy, breezy, or comfortable - speed up. Sometimes, you may need to switch techniques multiple times over the course of a day, even within one area. If you know you are around fish, let them tell you what they want. I almost always start fishing fast and slow down as needed. In this particular case, I knew there were fish in isolated vegetation, it was just a matter of finding the right conditions. A few days later, I got a chance to take an afternoon birthday fishing trip with Mary May. We decided to hit a local lake that gets a ton of traffic. In fact, when we were there, we saw about a dozen swimmers and probably 15-20 other boaters. But that didn't seem to phase the fish. What did affect the fishing was the drastic weather we've had this year. The typical weed growth pattern for this lake is weeks behind, which I assume is related to the brutally cold winter and summer temps that have been cooler than average. So, instead of large patches of lily pads, we found very sparse, skinny weeds. The fish were extremely scattered and seemed hesitant to commit to anything fished fast. Of course, that doesn't mean we didn't catch them. 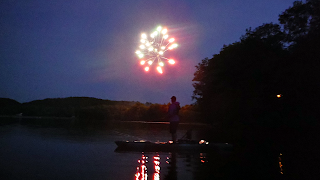 We launched around 4:30 PM and Mary May got on the board quickly with a pickerel on a Jerk Shad. But for the next 30 minutes or so, it was more about weeding out what wasn't working, which was nearly everything. Eventually, I caught a solid 17.75" largemouth on a finesse worm in about 2 feet of water. The fish was situated near a boulder - one of many in this particular lake. We decided to focus only on wood, boulders, ledges, and extremely heavy vegetation. Shortly after, we decided to go for a dip. We pulled the kayaks up on a small island, shed some layers, and took the plunge. The water was chilly, but felt great in the hot, humid conditions. After our swim, the bite was fairly steady, although never outstanding. I caught bass on two baits - a green pumpkin finesse worm and junebug lizard. I rigged the finesse worm weightless on a 2/0 hook. The lizard I Texas-rigged on a 4/0 Gamakatsu EWG hook and a 1/4 oz tungsten weight. I fished each very slow, often popping them off the bottom or out of grass. I ended the day with about a dozen bass, including another solid fish at 17.5". I also had a couple of blow-ups on a white frog in heavy grass, but never actually committed to it. By 7 PM, we were ready to call it a day. I forgot just how little quality water there is in the lake, as I had expected to fish until dusk and take advantage of the evening topwater bite. However, it worked out pretty well, since we were wet after the swim and starting to catch a chill. The day was another good lesson in breaking down conditions and listening to the fish. Rather than fishing fast and struggling, we slowed down and caught 'em. Slowing down can also be a great option on bodies of water that are heavily pressured. It isn't always fun, but is almost always effective, especially in clear water. These trips capped an incredible 31st year and got 32 off on the right foot as well. A few nights later, I got to break in my birthday gift. Despite making it clear I wanted nothing, Mary May and Johanna (my mother in-law) showed up with a Big Green Egg in the trunk. After assembly, I decided to smoke a 4 lb brisket from the farm. 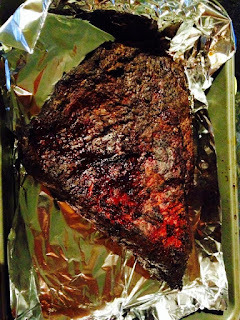 I smoked it for about 5 hours at 235 over a mix of oak and hickory. I used a dry rub, which I set with yellow mustard. It turned out delicious! Nothing like home raised grass fed beef - get your forks ready!